Have you always thought about getting CPR certified but didn't follow through? Were you worried about having to do mouth-to-mouth? Were you worried about the responsibility of having a critically injured or ill person depend on you? HWYD Learning thinks you need to give CPR certification a chance. You can make a life and death difference in a matter of minutes with some very, very basic skills. CPR has changed. The focus now is on chest compressions. Get over your worry about the mouth-to-mouth thing. Besides, we know there's a good chance you kissed someone in the past you hardly knew. You survived it. There are actually three basic parts to the course: basic first aid, CPR, and learning to use an AED. If you have children, we think you probably already know basic first aid. This part is just a check to make sure you are doing everything you can. CPR is about compressions and mouth-to-mouth if possible or if necessary. AED units shock a heart back to its normal rhythm and are automatic. 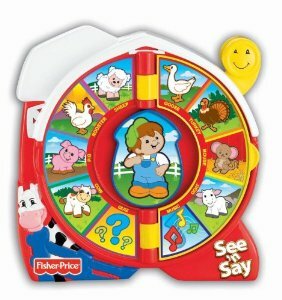 They talk to you, have directions and pictures, and are easier to use than that spinning farm animal toy with the animal sounds. Seriously. The entire training takes five hours. You have video, a workbook, and practice equipment. It's *may even* be a free course, offered in community settings, and might be the most single valuable skill you every get to put to use. In many states, such as in Georgia this year, high schools are now required to teach CPR to their students. You can also complete the training online. If you can, it would be nice to complete your first CPR class face-to-face, but at HWYD, we love online learning technology. Don't worry about the online course if you would prefer that. It's a great program. Go for it! After completing the online CPR material, you will have to complete a skills check with a certified instructor. In fact, the American Heart Association offers many online courses. Check them out! In a face-to-face environment, you will sit in a room with a certified trainer. You will review the training materials together, probably in a group discussion format. The video is helpful, especially in timing the CPR compressions. In the online program, you will have the same videos and book resources. The trainer in my most recent re-certification class said to time the compressions like you would for "Staying Alive," by the Bee Gees, but I was thinking, "TiK ToK," by Ke$ha. I am guessing Vivaldi's, "Spring," would work, too. You'll get to practice on the dummies. Here is Maurice. We saved him. A lot. 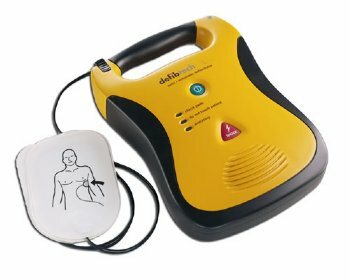 You'll train on the AED - an Automated External Defibrillator. Ours looked like this. See the pictures on the pads? It tells you everything to do, including whether or not you need to resume CPR. For this model, you turn it on, pull the pads out of the back, attach according to the pictures, and wait. It will tell you if a shock is needed after monitoring the victim. If they need one, the unit will charge, and the red light comes on when it's ready to go. You press it. Then it tells you what to do next. This video shows how to use a different AED model. The bottom line is: all AEDs tell you exactly what to do. At least know where the nearest one is in your work place, at sports practice fields, at the gym, at your place of worship, etc. Our trainer said that AEDs are responsible for one life-saving event every month at the Atlanta airport by bystanders. The American Heart Association will be happy to direct you to a CPR course or answer any questions you have. The online course is $39.95 according to the AHA website, but you may be able to get it free through an organization like your work or service club. Just like with anything else, the more you know, the better prepared you'll be. Also, check out courses at the American Red Cross if you get the chance. And guess what else! There's a CPR app, too. It's free, so go ahead and download it!